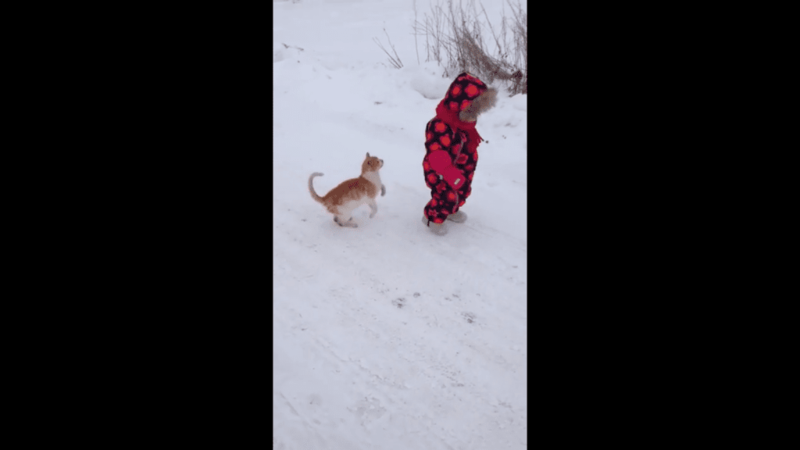 Clearly this cat wants some attention! 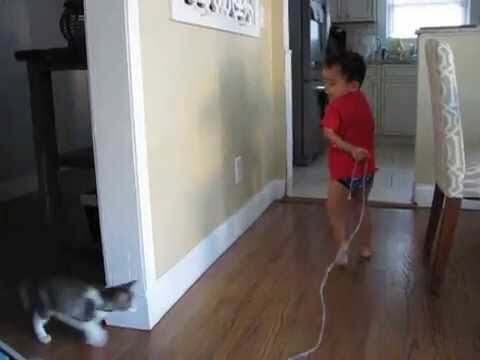 A young cat and a toddler chase the laser pointer’s red dot. 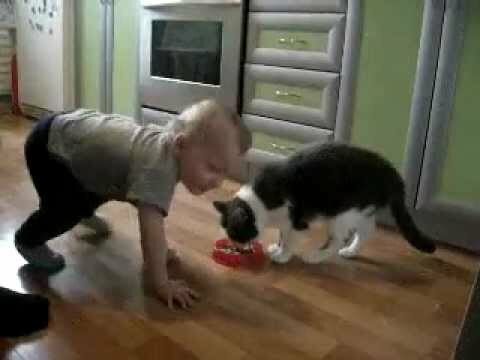 A toddler and the family’s kitten play a merry and spirited game of chase in this adorable video.